We’re not the biggest jet boating company in New Zealand, we’re just New Zealand jet boating at its best and you’ll find out why Buller canyon Jet receives such great reviews and awards from lonely planet, Tripadvisors, Rankers NZ, etc. Please note our tours only depart during safe river conditions and with our highly trained drivers, strict auditing and huge respect for the river we are proud to be incident free for the whole of our 10 year operating history. 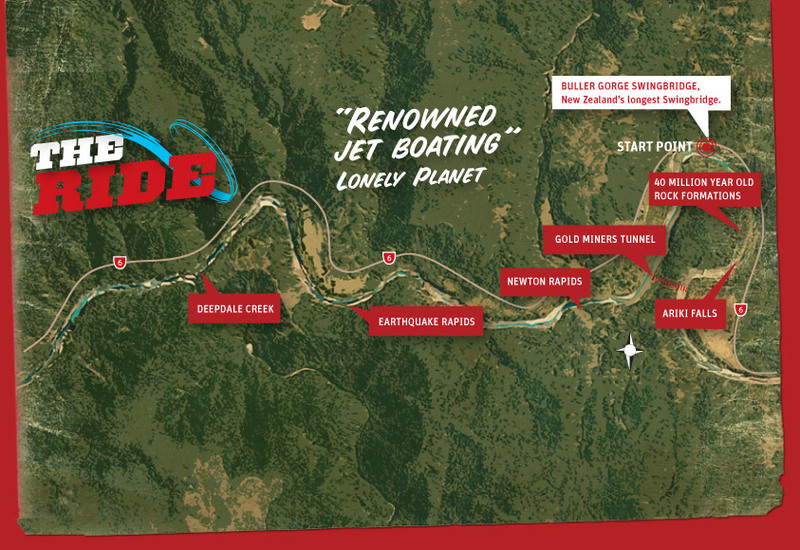 Buller Canyon Jet ltd is the only jet boat company permitted to operate in this part of the Buller gorge scenic reserve so you’ll see it like the first explorers did majestic and unspoiled. 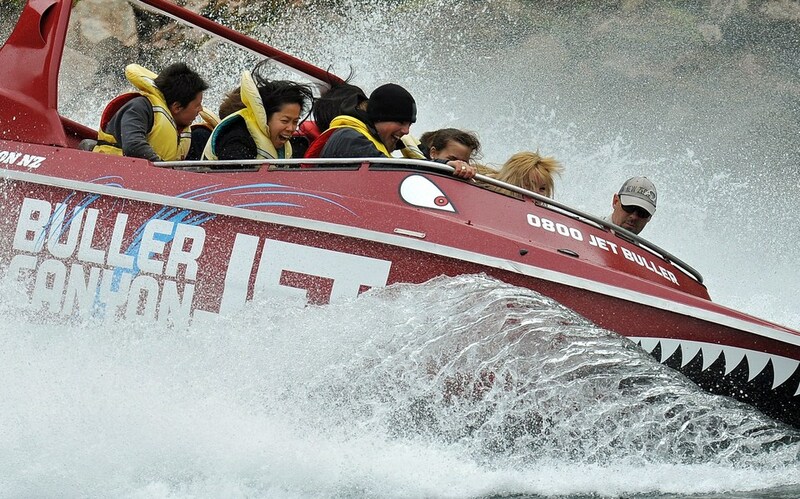 Our jet boats are powered with big v8 Chevy engines pumping water out of the nozzle at 350 litres per second and firing the boat up to speeds of 85 km's per hour giving the jet boat amazing control and agility and able to turn into the world famous Hamilton jet spins. A reverse bucket when activated drops behind the nozzle and hauls the jet boat up in it's tracks when a sudden stop is required or just for fun. Our safety record is unblemished with the jet boats audited by maritime New Zealand inspectors combined with 50 hr ,100 hr and daily checks before any trips go out. Our jet boat drivers are highly trained with safety being their priority so all you need to do is hang on and enjoy the thrills and amazing scenery. Buller Canyon Jet has the exclusive right to show you this pristine part of the Buller Canyon and with a max of 6 trips per day you will see it the first explorers did magestic and unspoiled . Let us take you on a thrilling 40 minute jet boat ride on the mighty Buller River, as we carve our way through the pink granite rock of the canyons, pass waterfalls and drive over earthquake rapids, right in the heart of historic gold mining country. $115 - NZ’s best price!